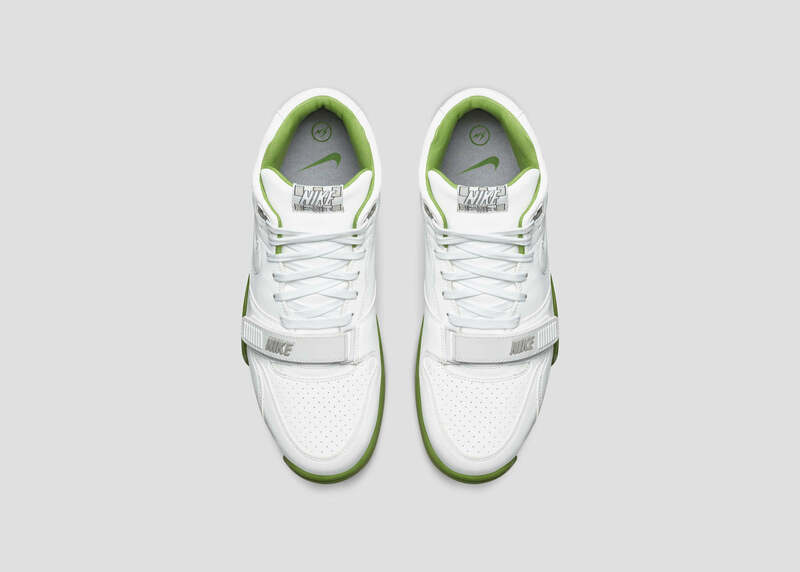 Fragment Design celebrate the ceremony of Tennis with their own take on the Nike Air Trainer 1. 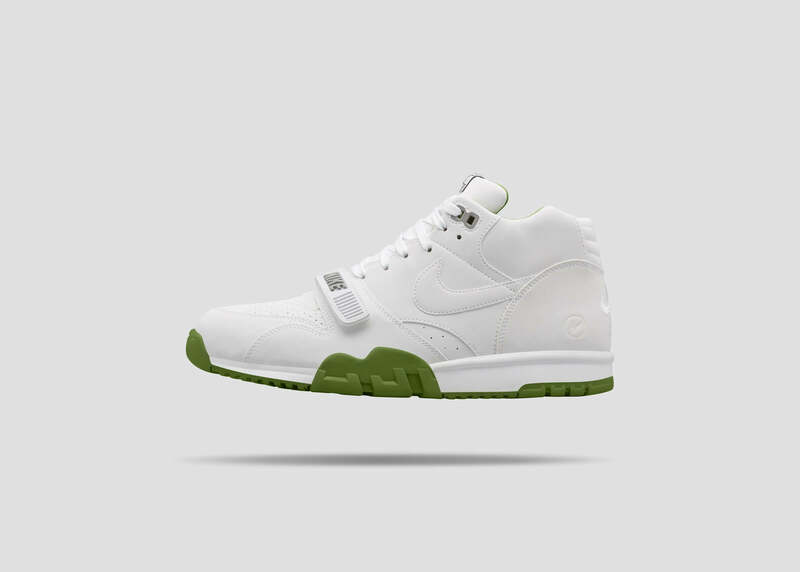 Presented in a clean tonal white leather with perforated sections on the toe and mid foot. 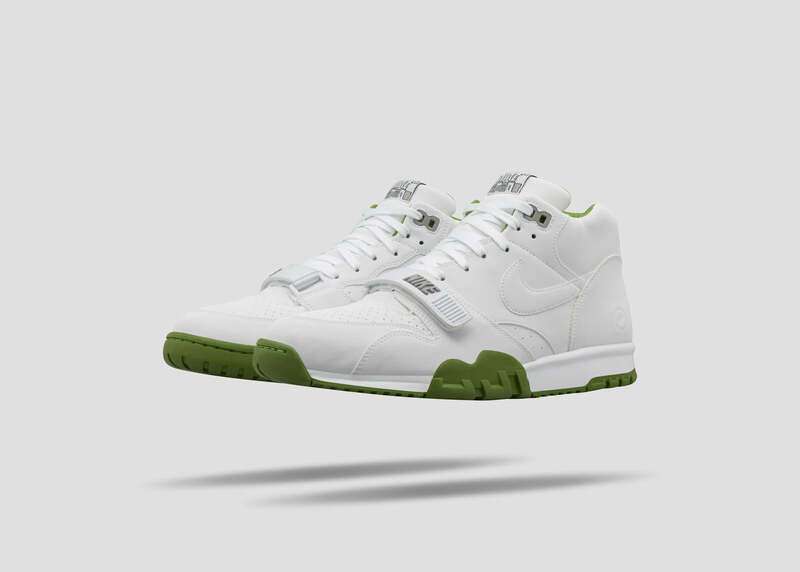 Complimented with a chlorophyll green outsole and lining. 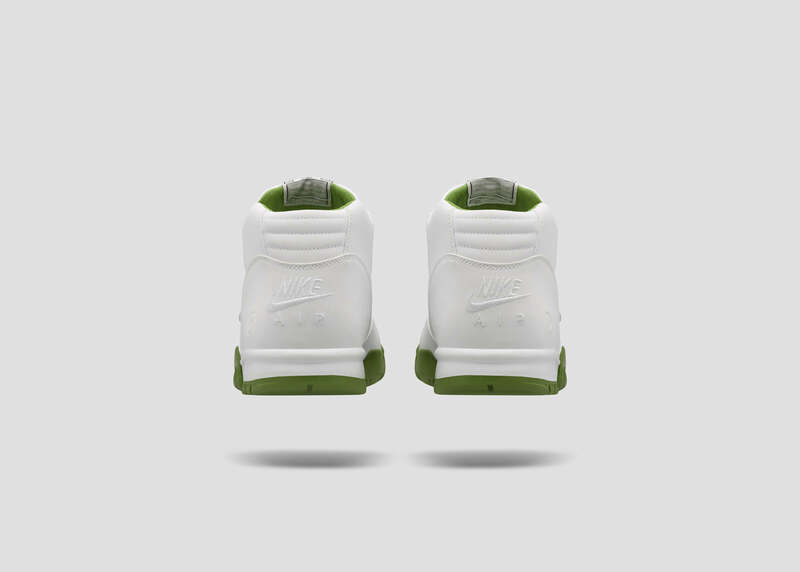 The Fragment logo appears embossed on each heel.